New clean energy sources don’t just come along everyday, but a new technology is combining turbines with gravity fed water pipes to generate hydroelectric power. While traditional hydroelectric energy generation is clean, it usually comes with some environmental impacts from interrupting waterways (endangered species, salmon spawning and eco-system health to name a few). This new in-pipe hydropower generates energy with no apparent adverse impacts. 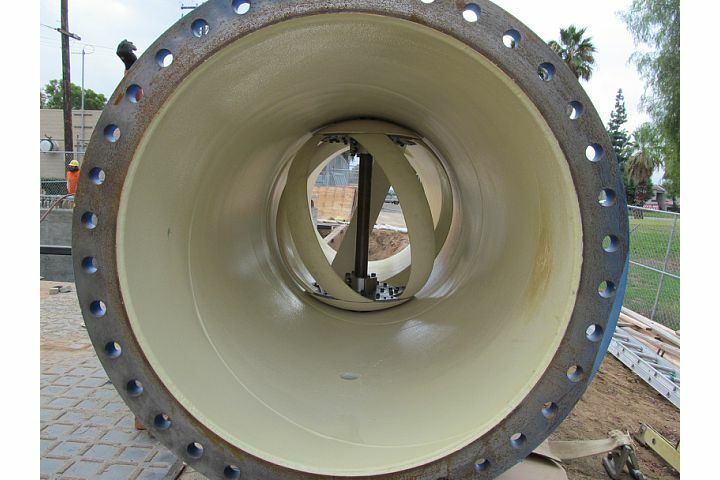 The LucidPipe Power System uses existing gravity-fed municipal water pipes to generate energy passively through the turning of turbines as the water flows through the pipe. A single LucidPipe unit can produce up to 100kW of power from a standard 60-inch-diameter pipeline. The Portland Water Bureau in Portland, Oregon has just installed three new LucidPipe Power Systems that will provide enough energy to power up to 200-300 homes in the city over the next year. Best of all, unlike solar or wind power, energy can be generated regardless of conditions, day or night. Drinking water quality can also be monitored at each location, providing valuable information for public health as the water flows through it. 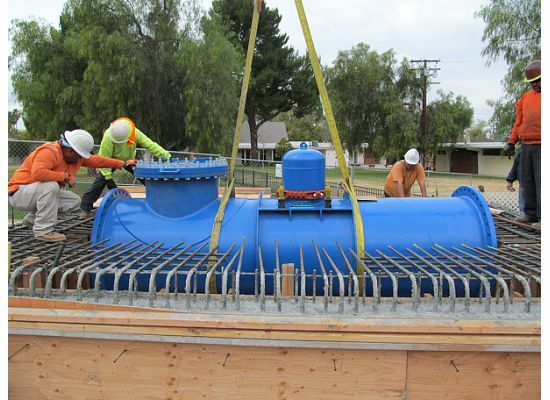 In addition to the Oregon Conduit 3 Hydroelectric Project; Riverside, California has utilized this technology to power streetlights at night providing more than 20 megawatt hours of renewable electricity to the grid. Huge potential exists for new energy sources in industrial, municipal and agricultural facilities to generate clean, reliable, low-cost electricity from their gravity-fed water pipelines and effluent streams. Their design even allows use in oil & gas and desalination facilities. Lucid Energy’s LucidPipe Power System, which was developed in conjunction with Northwest Pipe Company, is a patented, vertical axis, spherical turbine that captures energy from fast-moving water inside of large, gravity-fed water and effluent pipelines, without impacting operations.